These two crack me up. We had a lot of fun wandering around Paradise Valley Country Club for their engagement session, and I've thoroughly enjoyed their hilarious social media posts since we met. So much so I am even willing to forgive Kyle for saying Die Hard isn't a Christmas movie. Though if he's careful, I might start a GoFundMe to bribe Jesse McCartney to break them up. For only he has the power. (Kyle popped the question to her on stage right after Jesse got done singing to her.) Seriously though, these two don't take themselves too seriously and that's a wonderful thing. 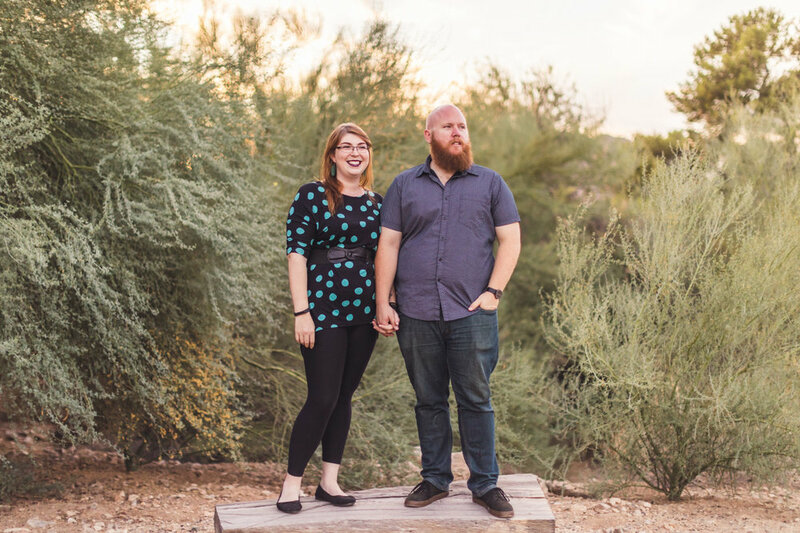 Here are some of my favorite images from their Paradise Valley engagement session. Yippee ki yay.